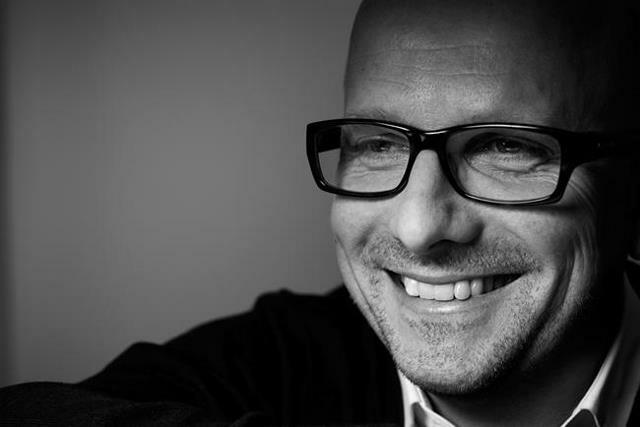 Justin Tindall, group executive creative director at Leo Burnett. For creativity to thrive once more, marketers need to trust their instincts, and agencies must focus on winning hearts, not awards, says Leo Burnett group executive creative director Justin Tindall. I love that story. It is the essence of what creativity means to me. Two words that demonstrate just how powerful "the creative bit" really is. That exemplify why creativity is worth fighting for and, above all, why it’s worth protecting. Because protection is what it needs. First, digital technology. Of course, it has contributed many great things to enhance creativity, but, in one key respect, its consequences have been devastating: time, the most precious creative commodity, has been compressed in the extreme by digital technology. I can shoot an ad in the morning, artwork it at lunchtime and upload it that afternoon. Which, viewed through an uncritical lens, is marvellous. Where’s the threat? Well, with the ability to make an ad in an instant has come the assumption that we can think of one in an instant. That’s a big problem. The post-digital advertiser seems to have forgotten the "thinking bit" takes as long as it did 20, 30 or 40 years ago – and always will. Second, marketers. A growing number are embracing moribund processes that are actively anti-creative: Millward Brown. IPSOS. Quantitative research. Judgement by numbers. Whatever you choose to call it, this has given rise to a world where stamina is a more valuable creative asset than creativity. Where a good chin is more useful in a creative department than a good brain. A world where it’s safer for the marketer not to make anything than risk making a mistake. An unexpected consequence of this is the growing number of high-calibre ad folk who aspire to work on retail accounts. With no time (or inclination) for quant research, retail marketers and their agencies make stuff. Lots of stuff. The tricky bit is ensuring that high volume is matched by high quality, which some retail brands manage brilliantly. Our client McDonald’s, for example, will be named Creative Marketer of the Year at Cannes this year. Which is nice. This leads me on to my final threat to creativity: awards. Of course, it’s essential that we celebrate the best work our industry can produce. But there is a dark side to awards that, arguably, is the most toxic threat to advertising creativity today. Creative people are naturally insecure – we need regular approval and affirmation. Awards shows have (albeit unwittingly) nurtured this insecurity. Propagating a creative community happy to lie, cheat and defraud their peers, their clients and the world for the sake of a lump of metal. I’d love to do an audit of the number of agencies that save the world in April – just in time for Cannes. It would embarrass me, appal you and disgust anyone with a conscience. As a consequence, agency/client trust has been eroded faster than the Happisburgh coast. And therein lies a tragic irony. At no time in the history of commercial communication have clients needed to place their trust in the power of creativity more than they do now. As marketing becomes less about what brands say and more about what brands do, then we must all accept an uncomfortable truth: that advertising and marketing are converging. As such, it is the duty of agencies and marketers alike to be the guardians of creativity. For marketers to be strong, relying on their own commercial and creative instincts rather than those of a housewife with a Millward Brown joystick in her hand. To respect time and give creative people the chance to really think about a brief, rather than simply react to it. And for agencies, particularly their creative leaders, to remind themselves that their primary task is not to use their marker pens to win awards, but to win the hearts and minds of an increasingly difficult-to-reach consumer. Just as Charles Saatchi did 35 years ago.